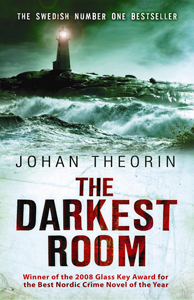 The whispering dead in Johan Theorin’s The Darkest Room are an essential part of the book’s dark, eerie atmosphere. 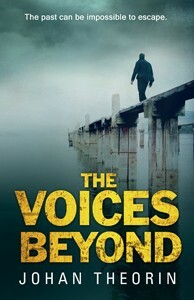 Their whispers haunt characters who are struggling to come to terms with the crimes of the past. This conjunction of crime fiction and the supernatural has been treated in two fascinating recent studies: Sian MacArthur’s Crime and the Gothic (2011) and Michael Cook’s Detective Fiction and the Ghost Story: The Haunted Text (2014). Both discuss crime fiction’s underlying affinity with the gothic, analyzing the numerous ways it deploys the structures, language and imagery of supernatural horror and the ghost story. In this review, we’re looking at a small selection of excellent novels published over the past few years that have brought echoes of the Gothic into crime fiction. Scandinavian writers have been particularly successful in creating crime narratives that incorporate ancestral beliefs in ghosts, premonitions, and other supernatural phenomena. 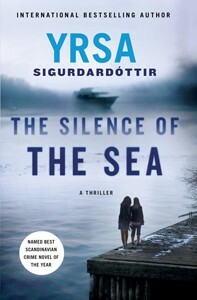 We highly recommend the work of two of the most powerful and compelling Nordic crime writers, the Swedish author of the Öland Quartet, Johan Theorin, and the Icelandic writer Yrsa Sigurdadottir: our review includes Theorin’s The Darkest Room (2009) and The Voices Beyond (2015); and Sigurdadottir’s I Remember You (2012) and The Silence of the Sea (2014). An inclination towards gothic themes is also evident in a range of other contemporary crime novels. 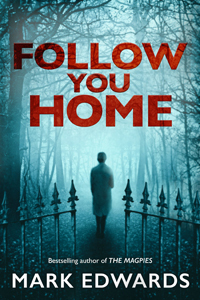 Sian MacArthur discusses, for example, the work of Gerritson, Slaughter and Rankin, amongst others, and our own review focuses on a tense and disquieting gothic noir thriller by Mark Edwards, Follow You Home (2015). In the work of all three of the writers reviewed here, living characters listen fearfully to the voices of the dead. Whether or not the ghosts assume an undeniable reality, these deeply unsettling reminders of past acts of violence tear characters from any secure sense of day-to-day reality, reshaping the course of their lives. In Johann Theorin’s wonderful Öland Quartet (2007 – 2015), many characters see or listen to ghostly presences, and these encounters are of considerable import – whether or not we ultimately believe in the reality of the presences themselves. Theorin himself says in interview that his novels “are sort of a combination of dark crime stories and Scandinavian folklore and ghost stories. They are not horror or fantasy stories, really — the supernatural mostly stays in the background, and I leave it up to the readers to decide if there really are such things as ghosts and premonitions. I’m not sure myself!” Theorin’s ghosts originate in the folktales of the small Baltic island of Öland, where all four novels are set, figuring in the stories everyone tells about their own past histories – the knocking heard in the grave, the shadowy people who appear at Christmas time in an old barn, the dead sacrificed in an ancient peat bog who reach up to seize the hapless wanderer. The presence or perceived presence of ghosts conveys a strong sense of lives lived within the places created by past deaths, crimes, losses. The elements of crime fiction (investigative discoveries and intuitions, the attempt to identify those responsible for crimes, the search for justice on behalf of victims) are, in these novels, most fully grasped if we understand how closely our lives are bound up with the lives and deaths of those who have gone before. In 2015, Theorin’s Quartet was brought to a close with The Voices Beyond. The season is now summer, and the natural world would appear to be less darkly threatening. But the sense of a place haunted by the past remains, and human fears are still induced by ghostly forms. The novel opens with young Jonas Kloss, who rashly ventures out in a small boat at night and has a terrifying encounter: “The ghost ship came gliding out of the darkness across the black waters of the Sound, giving way to nothing and no one.” Jonas escapes just before the ship itself goes down, but as the secrets behind its dead sailors and its sinister fate are gradually revealed, we’re led towards increasingly nightmarish realities. The holiday resort run by the Kloss family is being readied to welcome hundreds of holiday makers, streaming on to the island, oblivious to the ghost-like return of a man determined to avenge those destroyed by the family’s greed and arrogance. The Homecomer, an old man who has dreamed his whole life of revenge, comes back to the island and conceals himself there, carefully setting about his retribution. He carries within himself the knowledge of unspeakable past events that have hardened and equipped him for his task. To Jonas, still convinced that the dead from the ship are after him, the Homecomer, glimpsed outside his hiding place in a cairn, is another ghost: “The cairn is haunted,” he tells Gerlof Davidsson, Theorin’s aged protagonist. Gerlof reassures him that “there’s an explanation for most things that seem frightening” – and in a sense there is. But at the same time the horrors of the past that the Homecomer brings back to the island are beyond reasonable explanation. The things he has suffered and the violent acts he has committed defy our rational comprehension and make us aware that past wrongs, heart-rending cruelties and enmities cannot be easily eradicated. They can intrude without warning into lives that on the surface seem secure and orderly. In her 2012 novel, the chilling and riveting I Remember You, Yrsa Sigurdadottir took her crime fiction unequivocally into the terrain of the supernatural. The novel is, in some editions, subtitled A Ghost Story, but even without the label, we feel from the beginning that we’re in the world of the supernatural, in which the dark deeds of the past compel actual ghosts to communicate the wrongs done to them, to make others aware of their torment and to visit revenge on those who are guilty of cruelty, abuse and betrayal. 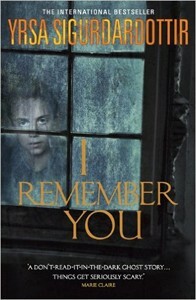 I Remember You is also a police procedural, but the conventional business of detection is inadequate in the face of other-worldly intrusions. As the ghosts make their presence known, official investigators seem prosaic and unobservant in their plodding efforts to make rational sense of what they’ve experienced. Primitive fears are aroused as vulnerable characters struggle to understand what’s assailing them: “At precisely that moment she thought that at last she could hear what the wind had been constantly whispering. Run, Kata.” As readers, we feel the urgency of recognizing the reality of these ghostly whispers. How long will it take the living characters to realize the danger they are in? When will they come to believe that they are encountering actual ghosts? What wrongs have been done to the ghostly presences? Is there any way of placating them and of protecting people against supernatural retribution? Word spreads that the ship was under a curse, and Thora, retained to investigate what has happened, finds going aboard the yacht to be an eerie and unsettling experience. She suffers from a hallucinatory sense that she has encountered ghostly apparitions: “Unsolved mysteries were grist to the imagination’s mill, she knew that. It had been nothing but her mind playing tricks on her. What else could explain the little feet she thought she’d seen on the other side of the bed, in Hello Kitty socks?” She has “the uncomfortable sensation that there was something evil in the air.” Even though the rational world of the procedural dominates, Sigurdadottir retains throughout the chilling sense that the missing people have been caught up in something unfathomable and malevolent beyond the normal world. As we enter the perspective of those on board the ship during its voyage from Portugal to Iceland, we see that they themselves, as they sail through the vast desolation of the ocean, repeatedly encounter things beyond their comprehension. There are unexplained sightings of a strange woman, disconcerting smells and haunting feelings of extreme unease. Quite apart from the corpse discovered in the freezer, there is a sense that “This boat was quite simply a bad place” and that “perhaps, after all, the dead could rise from the grave.” In contrast to I Remember You, we feel on the whole that we are not in a world where the dead have actually risen from their graves, but, as we read Sigurdadottir’s brilliantly disquieting creation of the claustrophobic, mysteriously ill-fated ship, it’s not hard to believe there are terrors beyond our comprehension. Mark Edwards’ Follow You Home is a tense, suspenseful psychological thriller. It is an intricately structured story of abject terror and hidden reserves of courage, of guilt and shame so overwhelming that ordinary life becomes impossible. Daniel and Laura, straying off the path of an idyllic holiday, blunder into the gothic world of an unspeakable house in the Romanian hinterland: “As old as the forest itself. And like the blackened trees that stood hunched in the clearing, the ground around the house seemed dead…I knew, with every instinct, every scrap of learned and inherited knowledge, that this was a bad place…But then we heard another cry, a strangled sob from inside those stone walls…” They escape, only to find that London now seems to have been invaded by ghosts and monsters that followed them back. Whether or not the narrative is moving towards a supernatural resolution, the terrors signified by the ghostly voices have a reality of their own, horrifying and life-destroying. We discover that there have been many dead women, and their numbers seem to swell the ranks of the pursuing ghosts. As in Sigurdadottir’s I Remember You, these presences speak for the wrongs done to helpless victims, brutally murdered by men who routinely kill and torture those who fall into their grasp. Much of the action is directed towards avenging the wrongs done to those who died in a far-away Romanian forest. But, nearer to home, we also confront the distressing question of whether Daniel and Laura can ever regain their relationship to one another or to the sane, reassuring realities of their past life. This is a dark, gripping novel that lingers disturbingly in the reader’s mind long after putting it down.